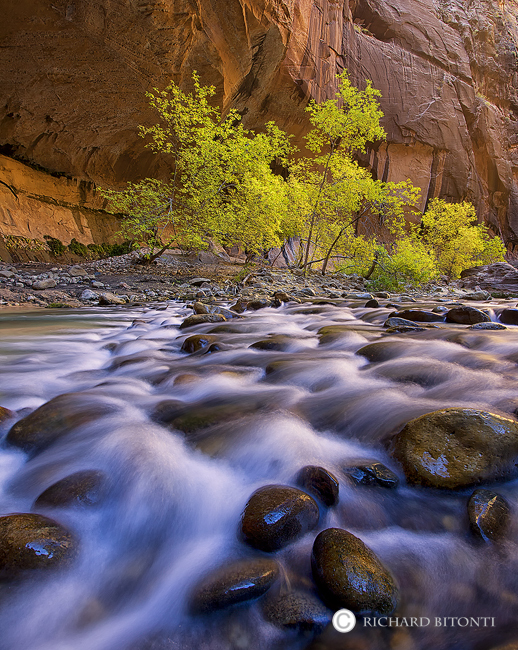 The Virgin River cascades through steep sandstone canyons deep within Zion National Park. The changing cottonwood leaves singnal that Fall has begun in southwest Utah. Photo © copyright by Richard Bitonti.